Being a relatively new mommy on the block, I am going through the issue that most moms face these days - how finicky kids are about eating nutritious food! Now that Aryaa has turned two, her palate has also developed quite a bit and she is getting very particular about what she wants to eat. Due to this, I have to be very thoughtful about how to get her to eat dishes with the correct nutrition value. 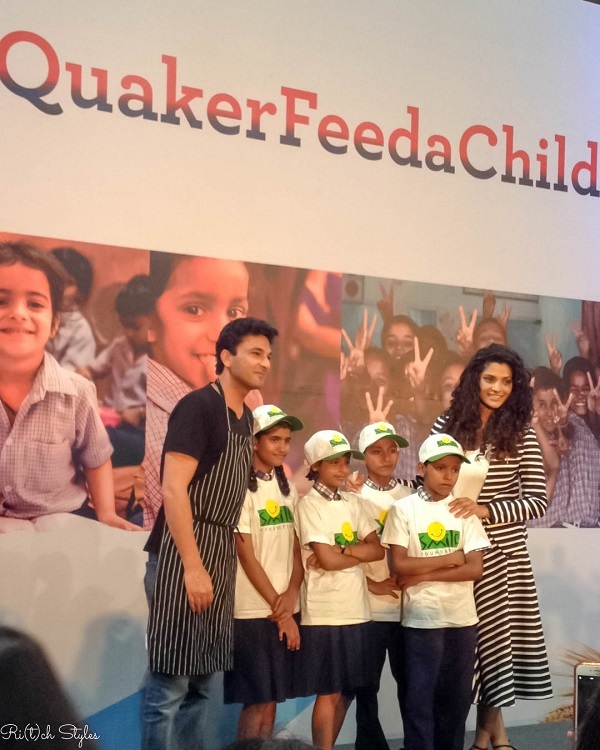 I personally have been eating oats in its regular form for a long time, but never experimented with recipes with oats and that is something I discovered thanks to Vikas Khanna and the 'Quaker Feed a Child' initiative that he hosted in association with Quaker India and Smile Foundation on World Food Day. Diwali is the time to sparkle and dazzle and the ideal time to indulge in Indian wear. I believe that nothing spells out 'Festive' louder and clearer than beautiful ethnic wear. 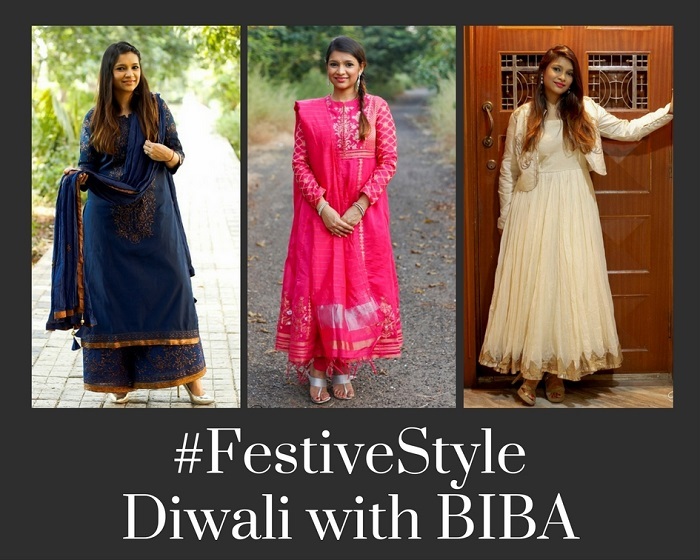 BIBA, the leading Indian ethnic wear brand and one of my go to brands when it comes to Indian wear, has introduced its Festive-Winter collection themed ‘You make it more beautiful’ for the Diwali season. Their aim is to glorify the inner beauty, elegance, inner strength and confidence of the Indian woman today, while redefining how the vibrant nature and beauty of Indian women compliments every BIBA outfit. I styled three of their exquisite outfits, that have intricate embroidery and distinctive patterns beautifully weaved into every single piece, and I loved how the gold highlights make them all the more perfect for the festive season. #SpeakEIMI with Wella Professionals! Review & Instagram Contest! Hair care is something that the whole world swears by and when you get hair styling products that style as well as care(protect) your hair, what more can you ask for. Most of us refrain from using hair styling products because we believe it does more harm than good, but with Wella's EIMI range, you can put all those fears to rest. Wella Professionals has been known for the quality of its products and how amazing the effects are, so converting me to a hair styling enthusiast with EIMI was piece of cake for them. I was introduced to the EIMI range by Patrick Cameron, Wella's Global Ambassador and star hairstylist a couple of months ago and I saw him create magic with the products, but since there was an embargo then, I couldn't tell you guys anything about it. Never the less, now I can reveal it all, so I am going to give you a look into their range of 31 products, with a review on their star products that I have been using. 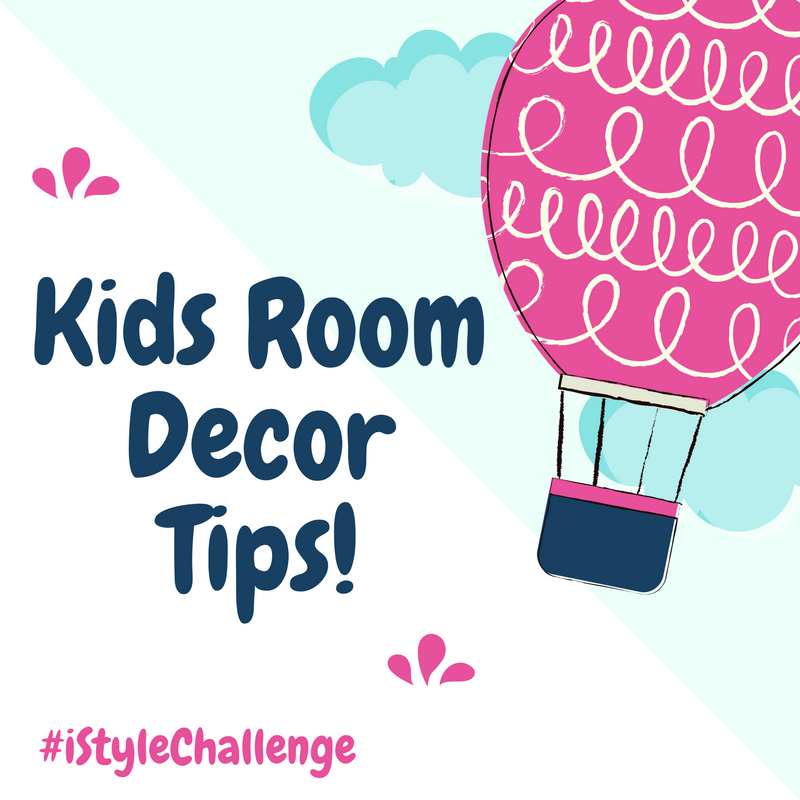 Kids Room Decor Tips and the Asian Paints iStyle Challenge! Interior decor is a regular topic in my life, be it a discussion with friends, family or on the blog but I have noticed that most people leave out one important part in practically all discussions, which is on kids related decor. 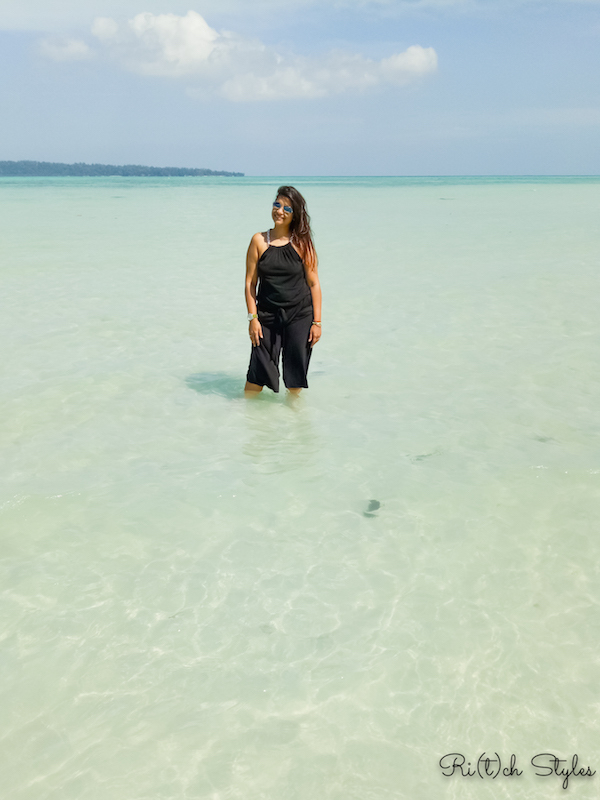 This is exactly what I am going to be touching on in this post. What you surround your kid with in their growing up years, will have a huge influence on how they grow and develop. For this very reason it is very important to make your child's room comfortable to live, learn and play in. I am now planning to move into a bigger house, where Aryaa's room is something that I am going to put my complete effort to do up, as she now is a 2 year old who would like to have her own space.